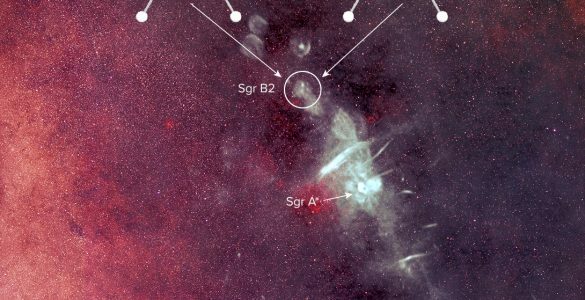 Astronomers using the National Science Foundation’s Green Bank Telescope (GBT) have discovered a unique stellar system of two white dwarf stars and a superdense neutron star, all packed within a space smaller than Earth’s orbit around the Sun. The closeness of the stars, combined with their nature, has allowed the scientists to make the best measurements yet of the complex gravitational interactions in such a system. In addition, detailed studies of this system may provide a key clue for resolving one of the principal outstanding problems of fundamental physics — the true nature of gravity. 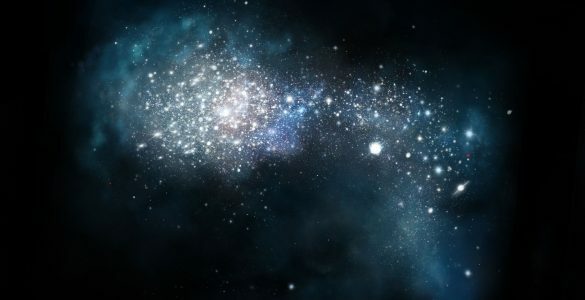 “This triple system gives us a natural cosmic laboratory far better than anything found before for learning exactly how such three-body systems work and potentially for detecting problems with General Relativity that physicists expect to see under extreme conditions,” said Scott Ransom of the National Radio Astronomy Observatory (NRAO). West Virginia University graduate student Jason Boyles (now at Western Kentucky University) originally uncovered the pulsar as part of a large-scale search for pulsars with the GBT. Pulsars are neutron stars that emit lighthouse-like beams of radio waves that rapidly sweep through space as the object spins on its axis. 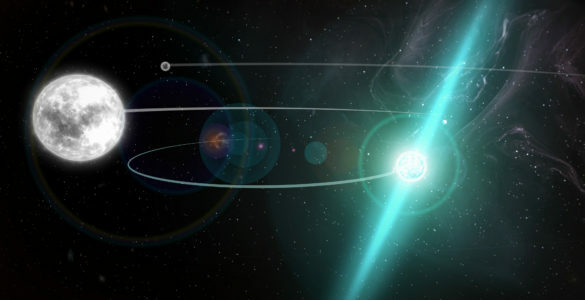 One of the search’s discoveries was a pulsar some 4200 light-years from Earth, spinning nearly 366 times per second. Such rapidly-spinning pulsars are called millisecond pulsars, and can be used by astronomers as precision tools for studying a variety of phenomena, including searches for the elusive gravitational waves. 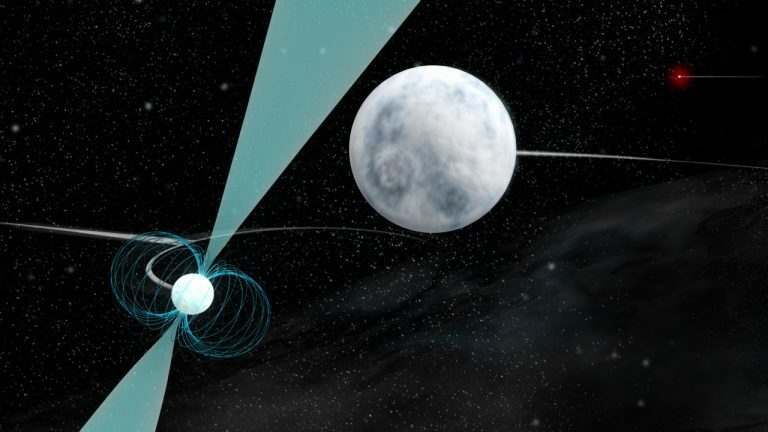 Subsequent observations showed that the pulsar is in a close orbit with a white dwarf star, and that pair is in orbit with another, more-distant white dwarf. 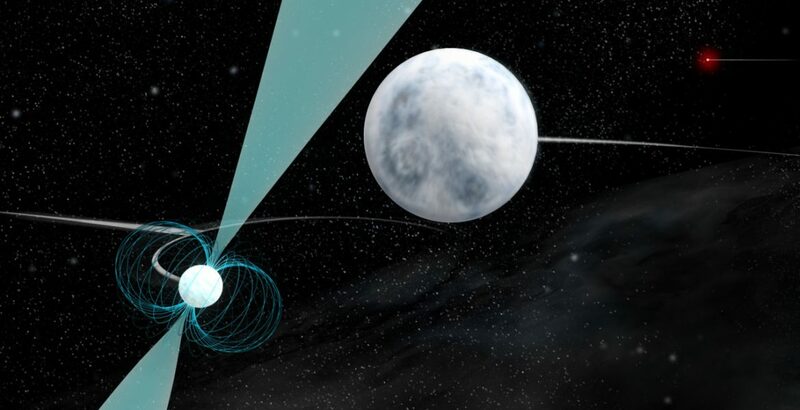 “This is the first millisecond pulsar found in such a system, and we immediately recognized that it provides us a tremendous opportunity to study the effects and nature of gravity,” Ransom said. The scientists began an intensive observational program using the GBT, the Arecibo radio telescope in Puerto Rico, and the Westerbork Synthesis Radio Telescope in the Netherlands. 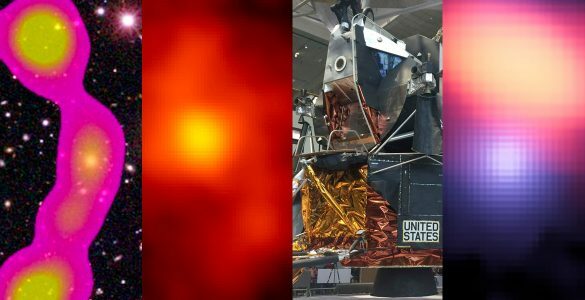 They also studied the system using data from the Sloan Digital Sky Survey, the GALEX satellite, the WIYN telescope on Kitt Peak, Arizona, and the Spitzer Space Telescope. “The gravitational perturbations imposed on each member of this system by the others are incredibly pure and strong,” Ransom said. “The millisecond pulsar serves as an extremely powerful tool for measuring those perturbations incredibly well,” he added. By very accurately recording the time of arrival of the pulsar’s pulses, the scientists were able to calculate the geometry of the system and the masses of the stars with unparalleled precision. “We have made some of the most accurate measurements of masses in astrophysics,” said Anne Archibald, of ASTRON – the Netherlands Institute for Radio Astronomy. “Some of our measurements of the relative positions of the stars in the system are accurate to hundreds of meters,” she said. Archibald led the effort to use the measurements to build a computer simulation of the system that can predict its motions. The research on this system used techniques dating back to those used by Isaac Newton to study the Earth-Moon-Sun system, combined with the “new” gravity of Albert Einstein, which was required to make the precise measurements. In turn, the scientists said, the system promises a chance to point the way to the next theory of gravity. The system gives the scientists the best opportunity yet to discover a violation of a concept called the Equivalence Principle. This principle states that the effect of gravity on a body does not depend on the nature or internal structure of that body. “While Einstein’s Theory of General Relativity has so far been confirmed by every experiment, it is not compatible with quantum theory. Because of that, physicists expect that it will break down under extreme conditions,” Ransom explained. “This triple system of compact stars gives us a great opportunity to look for a violation of a specific form of the equivalence principle called the Strong Equivalence Principle,” he added. When a massive star explodes as a supernova and its remains collapse into a superdense neutron star, some of its mass is converted into gravitational binding energy that holds the dense star together. The Strong Equivalence Principle says that this binding energy still will react gravitationally as if it were mass. Virtually all alternatives to General Relativity hold that it will not. “This system offers the best test yet of which is the case,” Ransom said. Under the strong equivalence principle, the gravitational effect of the outer white dwarf would be identical for both the inner white dwarf and the neutron star. If the strong equivalence principle is invalid under the conditions in this system, the outer star’s gravitational effect on the inner white dwarf and the neutron star would be slightly different and the high-precision pulsar timing observations could easily show that. “By doing very high-precision timing of the pulses coming from the pulsar, we can test for such a deviation from the strong equivalence principle at a sensitivity several orders of magnitude greater than ever before available,” said Ingrid Stairs of the University of British Columbia. “Finding a deviation from the Strong Equivalence Principle would indicate a breakdown of General Relativity and would point us toward a new, correct theory of gravity,” she added. “This is a fascinating system in many ways, including what must have been a completely crazy formation history, and we have much work to do to fully understand it,” Ransom said. Ransom, Archibald and Stairs were on an international team of researchers that reported their findings in the online edition of the journal Nature on January 5. Millisecond pulsar, left foreground, is orbited by a hot white dwarf star, center, both of which are orbited by another, more-distant and cooler white dwarf, top right. 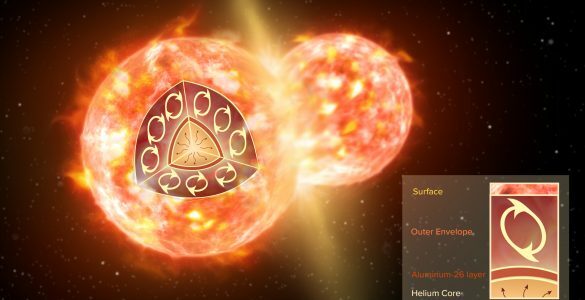 This animation shows the unique triple-star system with a superdense neutron star and two white dwarf stars. The neutron star is a pulsar, emitting lighthouse-like beams of radiation as it spins on its axis. These beams, in blue, are seen sweeping through space as the neutron star rotates. At the start, you see this pulsar and its close companion white dwarf in orbit around their common center of mass. The animation zooms outward, showing this pair also in orbit with a more-distant, cooler white dwarf, and illustrates the motions of these three bodies. The entire system would fit within Earth's orbit around the Sun. 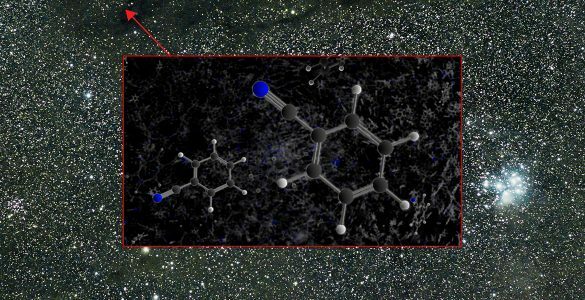 Astronomers using the GBT have made the first definitive interstellar detection of benzonitrile, an intriguing organic molecule. VLA points to previously unknown galaxy cluster, GBT gets new vision, and ALMA uses double vision. 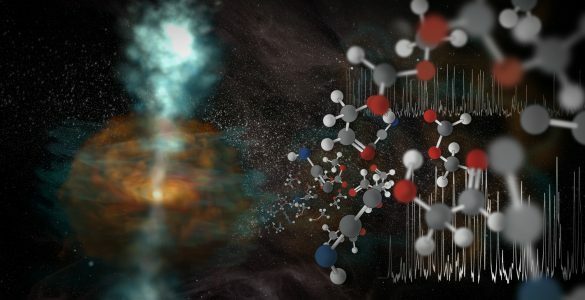 Scientists applaud discovery of “handed” molecules in interstellar space.